I stock all the usual birthstones and lots of unusual ones too! These are natural or lab created gemstones not fake coloured/coated glass crystals with no intrinsic value. Often real birthstone jewellery costs less than crystal jewellery, so please do think about giving the real thing! Birthstones have been around since ancient times, and in those days were believed to possess magical properties that could protect the owner or wearer of the stone. 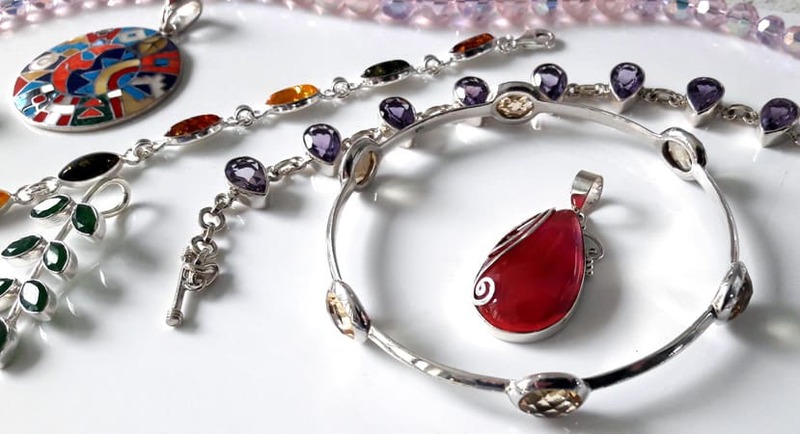 Jewellery can be made from many different types of materials and all materials have particular qualities of wear. Some stones are very soft e.g. Turquoise. Some metals are soft e.g. gold. There’s a special occasion in the offing, a birthday, an anniversary, a new baby, an engagement, First Communion, Valentines Day, Christmas the list is almost endless!